What to Buy your Gamer Girlfriend for Christmas 2012? For those out there that are snickering at this editorial guide’s title, you must be new around here. 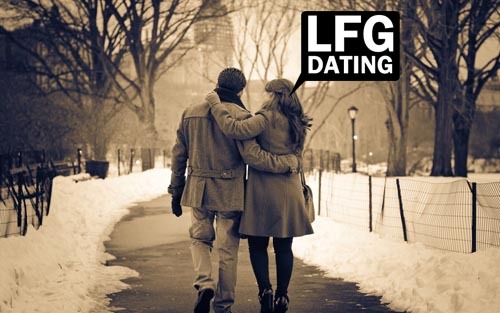 You see, LFG Dating is the only professional, secure, authentic dating site for gamers, and believe it or not, we actually have a huge community of real women. Not kidding. Sign up for free and see for yourself. With that disclaimer out of the way, let’s move on to the important stuff that the male side of the house has historically struggled with every single holiday season: what in the world do I get my girlfriend for Christmas? Did you notice what I did there with that last sentence? I left out the word “gamer”, and I did it for a reason: I don’t care if you’re dating a professional gamer – your gamer girlfriend does not want video games, or anything gamer related. Let me adjust that comment: you’re allowed to get her something gaming related for Christmas if and only if you get her something else that isn’t. Roger? Okay, let’s move on to those stellar gift ideas for that girl of yours. 1. Something Creative & Personal (& NOT electronic) If you read our recent holiday Christmas shopping guide on what to buy your gamer boyfriend (on second thought, why would you? ), then you’ll see where we’re going with the creativity route. Why do we have this as our first gift option? Because it’s the best route, and because I don’t know your girlfriend. The best reason is that she’ll simply appreciate it. Don’t get her anything electronic, and do IM/call her friends and family for gift ideas. It’s as simple as that. Don’t be that boyfriend who buys his girlfriend a PS Vita; I don’t care how badly you she wants it, do not get her anything electronic. Also for the older dudes in the e-house this evening, do not dare purchase her an appliance, because your car will likely get vandalized by Santa her. 2. Jewelry Stop cringing, guys. I know the first thing that winces when you read the word “jewelry” is your wallet, but jump back to our first idea and throw in some of that creativity. There are tons of mom and pop shops that have a slew of custom jewelry that’s on the cheap, and will show her your softer side. Disclaimer: do not get her that cheesy charm bracelet; I don’t care how many times your Grandmother told you – DO NOT do it. Seriously. The bottom line here is that you can never go wrong with jewelry (except with that charm trash). 3. Traveling If you’ve got the dough to spend, or are looking to grab a nice tax refund next month (fiscal cliff, anyone? ), then traveling/taking a cool vacation is always an award-winning Christmas gift with the girlfriend. I’m not a travel agent (though I did sleep at a Holiday Inn last night), but there are lots of ways to pull off a great vacation, whether its over a long weekend or a full week. You don’t even have to leave the country; one great way to plan it out is to look regionally, and pick a city or vacation area that is within driving distance or a quick plane ride. Grab some plane tickets or a rental car, book a nice dinner, and get some tickets to the local theater or hot spot and you’ve got a great present that would make Santa jealous … if he were real. Still frustrated? Try one of these other gift ideas: cooking classes, gift cards to her favorite clothes stores, funny t-shirt of the month club (try BustedTees), tickets to a ballet or sports event downtown, yoga classes, perfume (anything but the new Justin Bieber scent), or maybe tickets to a concert for her favorite band. One last tip gentlemen is to spread the wealth this Christmas holiday, regardless how of much you have. What I mean is that don’t just get her one gift; get her a few small, thoughtful gifts before the holidays and on Christmas morning – it will show you took it seriously, and that you have been really thinking about her. She’ll appreciate it. Our last tip: don’t wait until Christmas Eve to buy that gamer girlfriend of yours an Xmas gift, because a 24-pack of AAA batteries from Walgreens will not cut it.